HomeBlogMoney LaunderingCan FIFA Victims Sue for Damages? A version of this article originally appeared at Casetext. In a blog post published on Friday, I talked about how the U.S. Department of Justice was charging FIFA Defendants with, among other things, a “pattern of racketeering activity,” including charges of violating the Travel Act, 18 U.S.C. 1952. The Travel Act is one of the predicate—or underlying—crimes needed to charge a violation of the Racketeer Influenced and Corrupt Organizations Act, 18 U.S.C. §§ 1961–1968, which is usually called RICO. Something that is interesting about RICO is that where a victim can show that a person’s/company’s actions not only violated RICO by, for example, violating the Travel Act, but also caused them some sort of financial harm (damages), the victim can bring a private right of action (a civil lawsuit in the U.S.) against that person/company (see 18 U.S.C. 1964). The defendant doesn’t even need to have been criminally convicted under RICO in order for a victim to bring a civil case against them, but the victim will have to prove the RICO violation in their case in order to recover damages, which is much easier to do where there has already been a criminal conviction. What can the victim recover? Treble damages plus the cost of the lawsuit, including reasonable attorney’s fees. I am definitely not a RICO or Travel Act expert by any stretch of the imagination (I can just see all of the experts reading this blog and nodding their heads in agreement with that statement). However, I do know that it is very difficult for victims to prove damages in cases like this, and that more requirements have been added by the courts over the years that make it more difficult for victims to bring a case in the first place. I’d like to see some RICO experts discuss the possibilities of such lawsuits in greater detail, however. Perhaps the International Senior Lawyers Project might be interested in this aspect of the case? But wouldn’t it be great to see, for example, a Nicaraguan or Zambian youth soccer league funded through the proceeds of a lawsuit such as this? Having opened that rather large can of worms, I am now going to very slowly back away and see if anything comes of it. 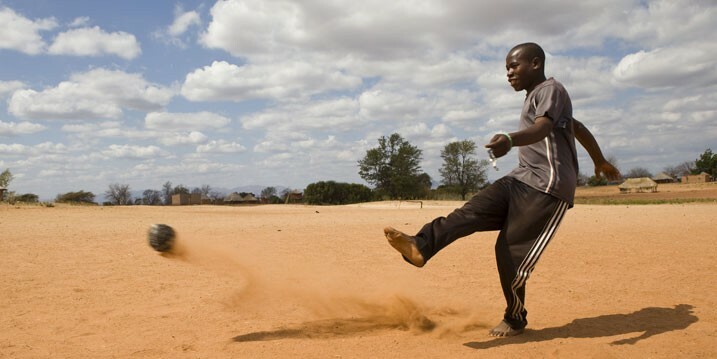 Image: Brazil World Cup Resources by CAFOD Photo Library, Simon Rawles [CC BY-NC-ND 2.0], via Flickr.